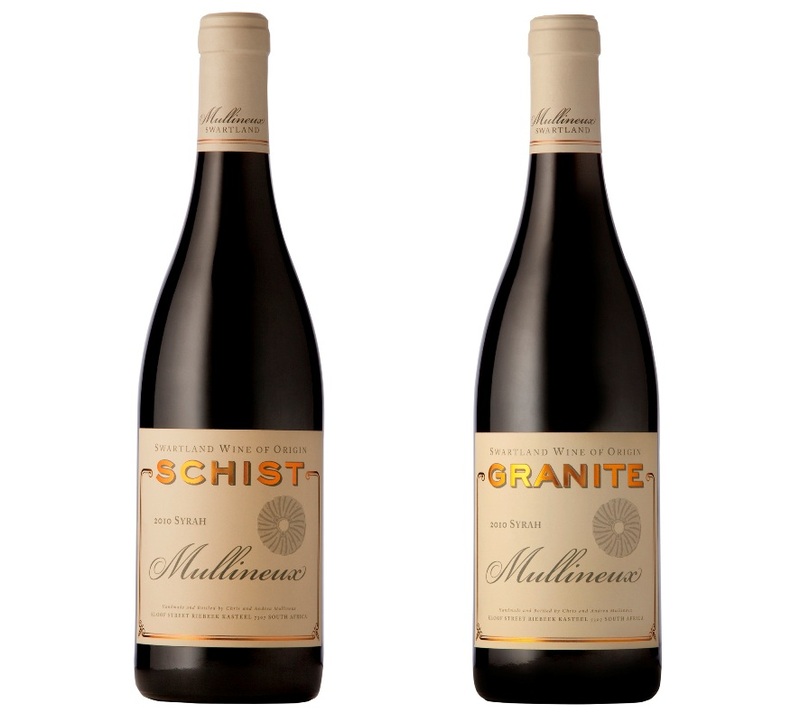 Our neighbours and good friends, Chris and Andrea Mullineux who make up, Mullineux Family Wines are constantly seeking out and refining the very best Syrah vineyards they can find in the Swartland. After 8 years, they have finally found two single vineyards that are best able to express the special Granite and Schist based terroirs they are planted in. The 2010 vintages of these single terroir wines, the Granite and Schist Syrahs, were released earlier this year. 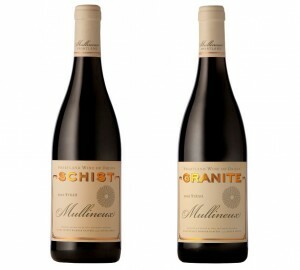 Mullineux feels these two very special wines are the ultimate expression of the Terroirs in which they grow. Jancis Robinson describes the Granite as having a “very pure Syrah nose. Sweet and polished and a skein of purity – all rather Cote Rotie. Polished. Long” and scores it 18/20; while Sarah Amhed described the Schist as bigger, more “animal and savoury with bay leaf and lurking oak (smoky bacon). . . it’s firmer in tannin with darker, denser layers of fruit and good length and intensity.” Neil Martin of The Wine Advocate gave both wines 93 points. Not only do we feel they are brilliant wines, but they offer the chance to taste the DNA of the Swartland. Along with other exciting new wines coming out the Swartland, Chris and Andrea hope these are the types of wines that will make the region as recognizable as Cote-Rotie and Hermitage. Handled exactly the same way in the cellar, this is the best way to taste how these soil types express themselves through Syrah, and some friends have commented that if you do choose to drink these wines as a lesson in soil expression, it may be the most delicious lesson you ever have. Only 1000 bottles of each were made, and are being sold at R675 per bottle in a wooden branded6 x 750ml box containing three of each.